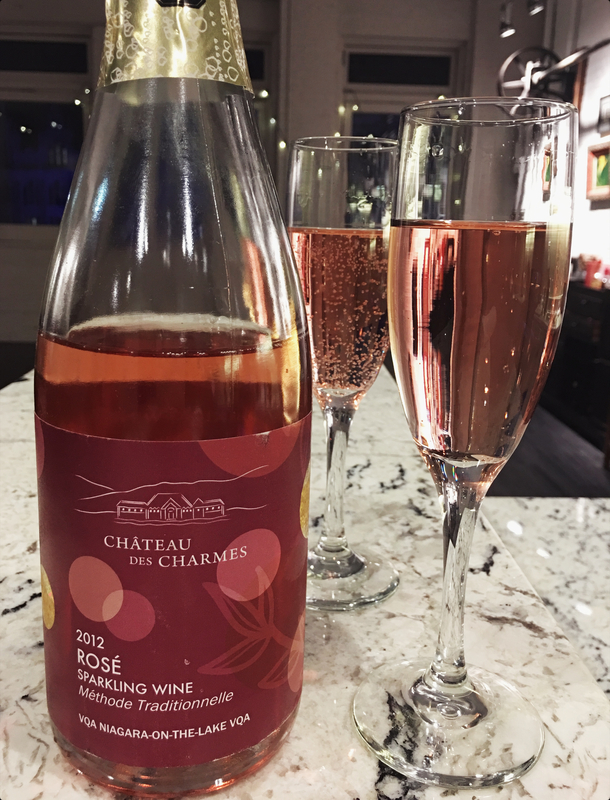 Estate: Paul Bosc, a fifth generation French winegrower who holds degrees in Viticulture and Oenology from the University of Burgundy in Dijon, France, founded Château des Charmes in 1978. Paul brought his young family to the Niagara on the Lake region of Canada in the 1960’s “with the idea that growing our own grapes was the best way to make fine wine”. The estate consists of 280 acres of vineyards in four locations all within the Niagara-on-the-Lake region. Paul established himself as a pioneer in the region, from planting traditional French varietals to employing cutting edge techniques such as installing wind machines to protect the vines from the cold. In addition to being recognized for their progressive, groundbreaking work with traditional French grapes and methods, their wines have garnered accolades for their balance, finesse and quality. Paul Sr still has an active role in the vineyards, his son Paul Jr is President of the estate, and Paul Jr’s wife Michèle is the Director of Marketing. Philosophy: “We are custodians of the land.” Crafting wines that are “food friendly and age worthy. We hope you will call them delicious”. Winemaking: Committed from the very beginning to sustainable practices, the family is a charter member of Sustainable Winegrowing Ontario. Chemical treatments are never used, and sustainable methods such as hedge vine canopies, and under drainage are utilized. Naturally occurring yeasts are used for the majority of the wines. All by-products from the winemaking process [stems, skins, seeds] are returned to the vineyards as natural fertilizer. Their extensive cellars are geothermal and do not require any heating or cooling, especially impressive considering how cold Canadian winters can be. Grapes were sourced from all 4 of their vineyard sites “in order to help maintain the consistency of aromas and flavours in the cuvée each year”. Crafted using Méthode Traditionelle, aged on the lees for a minimum of 18 months. Tasting Notes: Coral pink in colour with subtle aromas of strawberry and minerals. Cheerful and refined, with strawberry, raspberry and a hint of buttery toast bustling around granite minerality. Fresh acidity and fine bubbles buoy the light, crisp finish. Fantastic on its own or with a wide variety of dishes, in fact a kiss of sweet fruit makes it a wonderful accompaniment to spicy dishes.